A truly luxurious oceanfront resort! 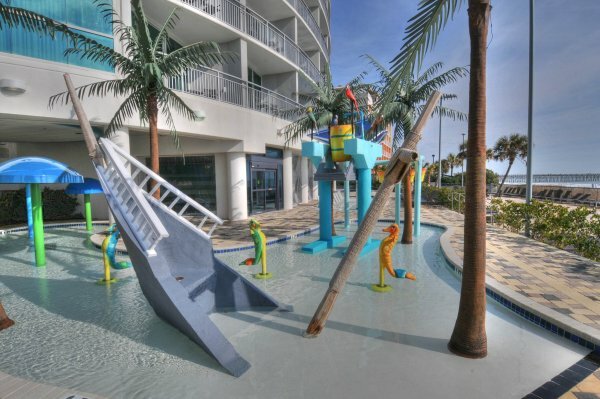 Built in 2008, Oceans One Resort has modern architecture and a fresh new look. 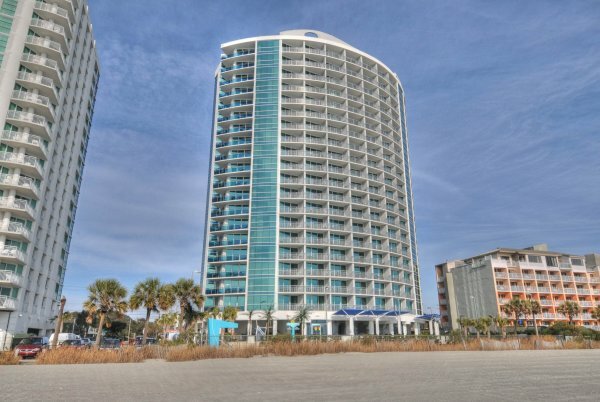 This resort is right on the beach so you can enjoy sun, fun, and sand just steps from your room. 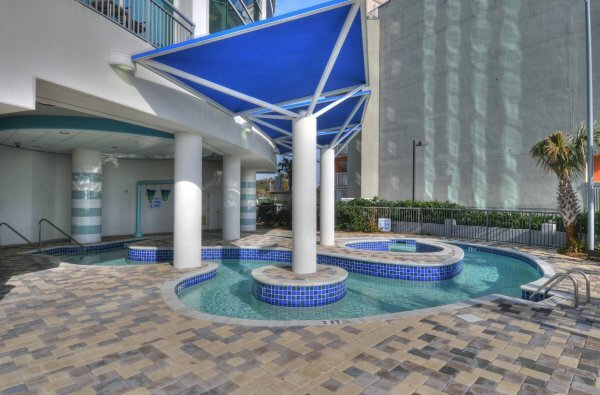 If you're looking for relaxation, try the indoor and outdoor Jacuzzi spas. 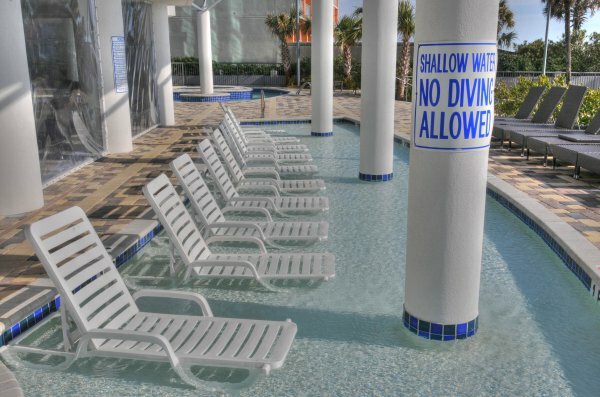 If you want to take a refreshing swim, Oceans One has an indoor pool, outdoor pool, lazy river, and a fun splash pool for the kids -- making it one of the best oceanfront hotels in Myrtle Beach! 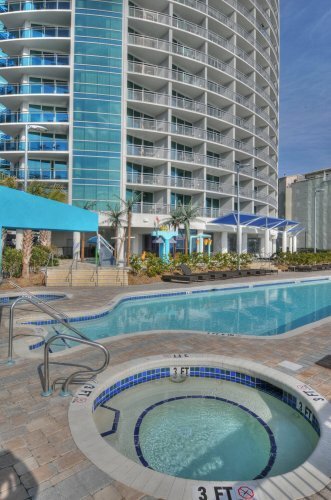 When you see your unit, you'll understand why this resort consistently gets rave reviews. 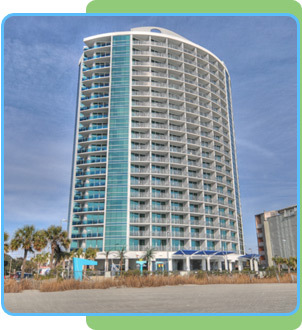 The rooms have contemporary decor and floor-to-ceiling windows showing beautiful views of Myrtle Beach and the Atlantic Ocean. 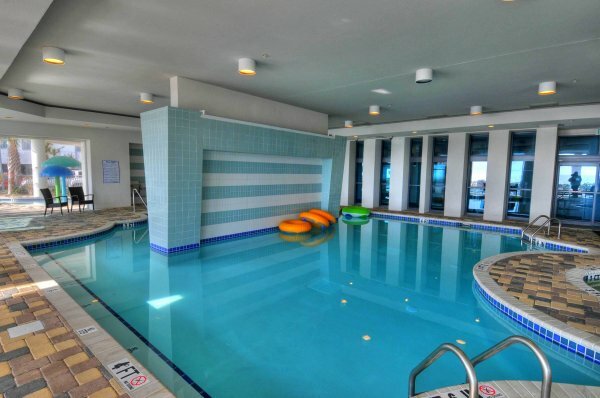 A flat screen TV, fully equipped kitchen, Jacuzzi tub and in-unit washer/dryer will make any stay comfortable. All this plus reasonable rates completes the picture of a great resort. 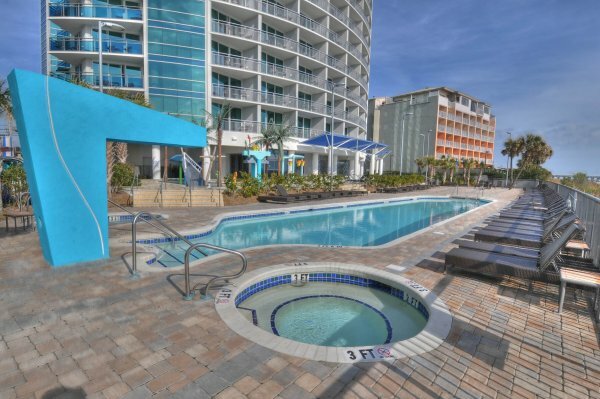 Don't miss your chance to stay at Oceans One Resort! Book your vacation rental today! Room pictures are examples only—actual unit may vary.